So I updated the track! The decals are the same and the environment is somewhat the same (moved some statues around). what I did to the track is update corners, Jumps, and etc. 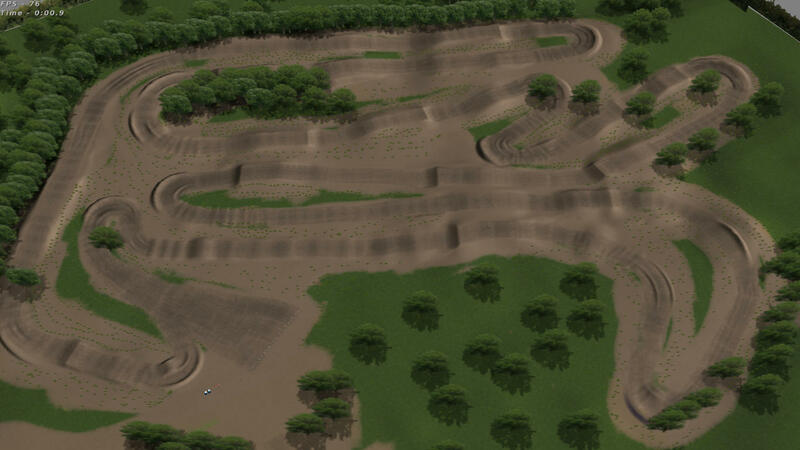 I re-made all the jumps that are the same in the previous layout, and ruts and some berms. Its not as rough as the previous version, it is smoother and not as bumpy causing you to get a head ache. I chose a new traction instead of the old one because the old one was not accurate to what the real track is, the old one had too much traction causing you to loop out at start and exiting corners, the new traction is more of a sand feel, like the real track. Enjoy! You might want to zoom out a little in the browser XD. Same as my previous Three Palms (Decals, statues, billboards have not changed.) I think the statues are from JS7 compound, correct me if I am wrong. JLV- Made this track possible! What double are you talking about? The one before you hit the start again? Great track. I ride at 3 Palms first hand and this is a very nice replica. The length of the straights is kind of off but other than that It reminds me of the real deal. Thanks for the release! Blake33 wrote: Great track. I ride at 3 Palms first hand and this is a very nice replica. The length of the straights is kind of off but other than that It reminds me of the real deal. Thanks for the release! Thanks for the kind feedback! This track ain't perfect, all feedback and constructive criticism is much appreciated and really helps! Please do the day track or Rio Bravo!!!!!!!!!!!!!! !